To Order: Click here to order directly from the Publisher. We hope to get the book on Amazon.com eventually. Book now available for offline purchase at select bookstores. Did you know that you have DNA? Do you know what it is? Learn all about DNA, from what it looks like and where it is found to what fascinating things we can do with it! No one is too young or old to begin learning about one of the most important discoveries of our time. Discover DNA for yourself in a fun, colorful way! Price: $14.99 (Discounts avail. to bookstores, libraries, wholesale or bulk orders). This is Katie Woodard's first book. 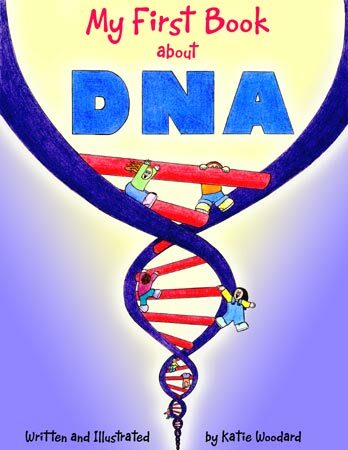 If you are a children's science book publisher seeking a children's book about DNA, please contact the author (she has full rights to publish the book elsewhere).